This review originally ran in Shelf Awareness for Readers. Reprinted here with permission. Discover: This collection of personal essays follows one writer as she studies the lives of artists and writers who built new lives for themselves. Is it possible for a memoir to be at once introspective and yet fully embedded in the context of the world around it? 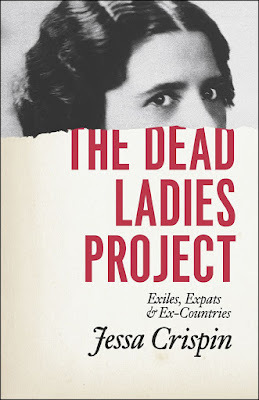 The Dead Ladies Project seems to suggest that it is--or at least, that Bookslut founder Jessa Crispin is capable of making us believe it is. Crispin's story starts in Chicago, where she is explaining to two well-intentioned police officers that her threats of self-harm will not come to fruition. "It wasn't my physical life that needed to be destroyed," she writes, "only what I was doing with it." With that realization comes a plan, or at least the start of one: she will sell her possessions and move to Europe to understand better the artists and writers whose lives she has always admired. "The unloosed, the wandering souls," she calls them, "who were willing to scrape their lives clean and start again elsewhere." And so she travels, from Berlin (William James) to Trieste (Nora Barnacle), London (Jean Rhys) to Jersey Island (Claude Cahun), with many stops along the way. As she recounts her travels, she fuses her story to the those of the artists and writers she is following, studying their legacies as she examines her own. Imbued with a deadpan sense of humor, The Dead Ladies Project tackles some of the weightiest subjects possible--suicide, death, infidelity, fulfillment--in a way that is always heartfelt but never heavy. The result is somewhat astounding: a philosophical musing on what it is to live one's best life, even if--or perhaps especially when--that best life fits no mold of conventionality or tradition.